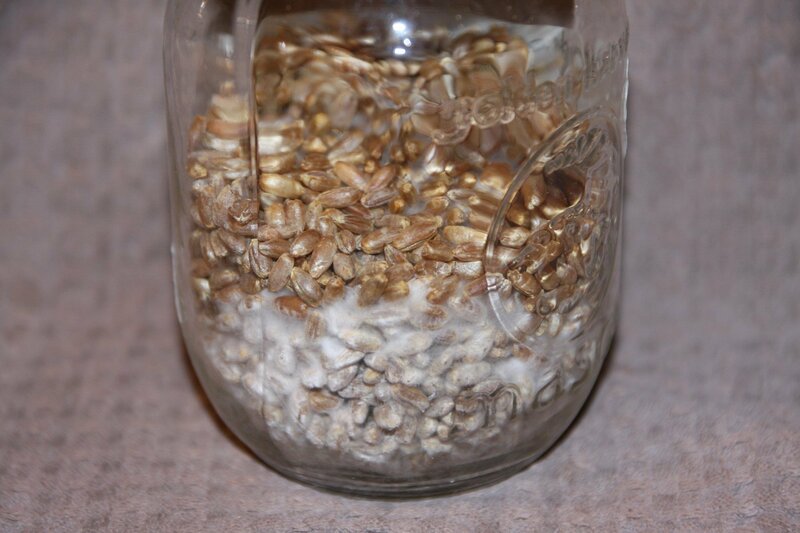 The first step is to move a triangle of inoculated agar and lay it on top of the grain. This is done in front of the flow hood. Since we use jars, the agar sticks to the side of the jar. So instead of shaking the agar into the jar, we leave it on top. 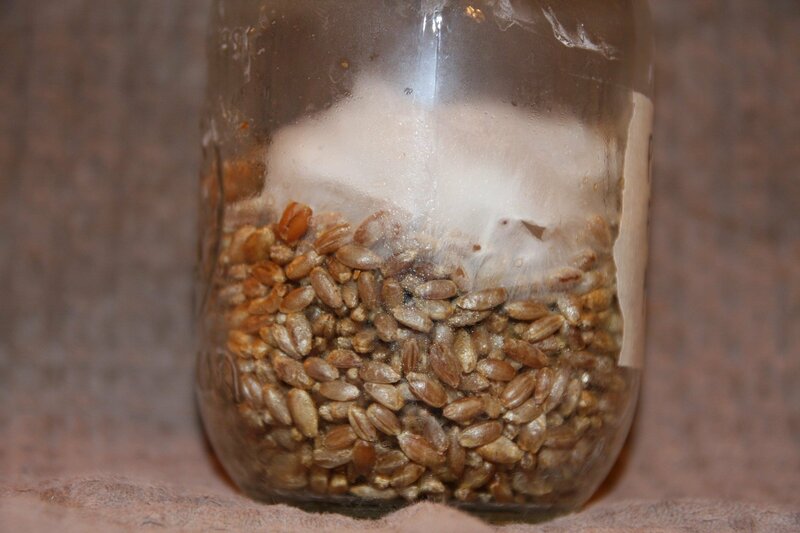 In this image you can see how the mycelium grows through the agar and starts to colonize the grain. When the colonization looks like this, we shake the jar for the first time. In this particular picture, the agar did get moved to the bottom of the jar. We typically shake the grain about three times during this process. The first time at this stage, the second when it’s about half or two-thirds colonized, and the third time just before moving it to a second grain run. 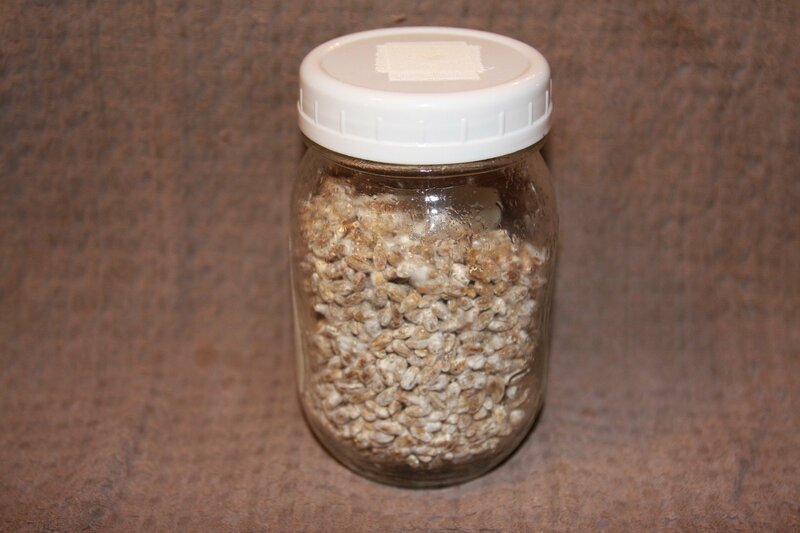 In this image, you can see what a jar looks like when it’s fully colonized. At this point we shake the grain and move it to a second round of grain. 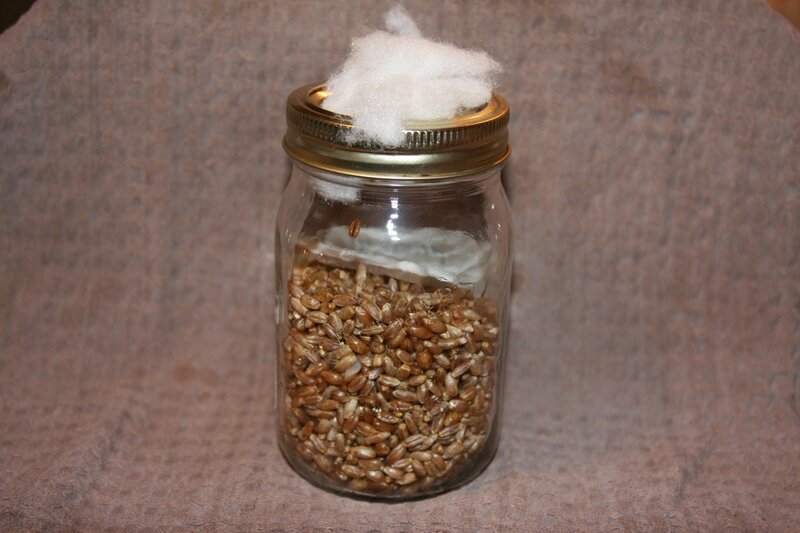 One grain jar like this can easily inoculate 5 or more new jars of grain. This grain has rather showy mycelium. Not all species look like this. Most of the oyster varieties are very visible like this one.